Uncomfortable and consistent knee pain can be signs that you need a knee replacement. The decision about whether or not to have a knee replacement is both a personal and practical one. Let’s take a look at the specific signs that may indicate you need a knee replacement, also called a knee arthroplasty, and what risks you run if you decide to avoid surgery. What Are the Reasons to Consider a Knee Replacement? 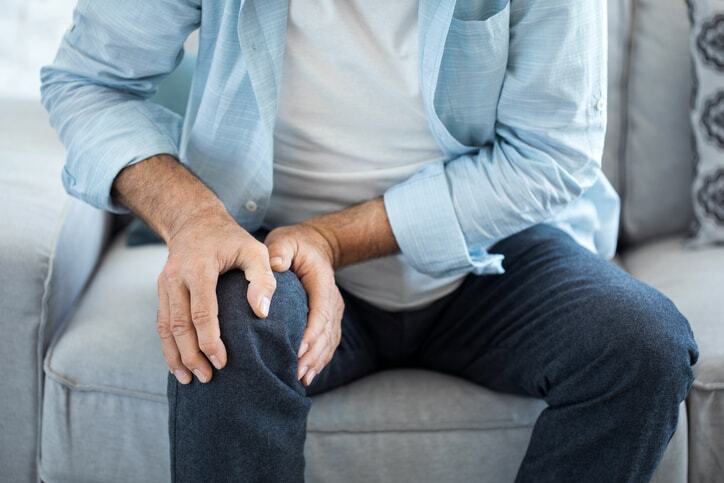 Everyday Activities Are Being Seriously Disrupted: When your knee pain inhibits your ability to work, sleep or take care of daily chores and obligations, it might be time to have a knee replacement. Typically, knee pain that comes from arthritis or injury gets progressively worse, so as time passes, you’ll become more and more limited in daily life. Other Treatments Aren’t Working: Knee replacement surgery is a major decision, and it’s perfectly reasonable to try other avenues of treatment first. The issue that you’ll need surgery will become more apparent if the alternative treatments you’ve tried aren’t working to relieve your knee pain. Bow-Legged and Getting Worse: If you have knee issues, it can cause you to develop bow-legs. As time passes, your legs bowing in or out can worsen. This can be a significant sign that a knee replacement is needed, as this form of bow-leggedness will most likely keep worsening. Long-Term Solution for Your Knee Pain: The most common types of knee replacements can last for many years. Research shows that knee replacement implants were still functional in 96 percent of people 20 years after surgery was performed. Studies also showed that, overall, artificial joints provide long-term improvement for both active and sedentary people. What Can Happen If You Avoid Knee Replacement Surgery? You might be fearful of having a knee replacement, but avoiding surgery can have more serious consequences. You’ll run the risk of developing deformities inside and outside the joint. You can develop muscles, ligaments and other structural weaknesses that can lead to loss of function. You can experience increased pain and the inability to manage pain. You have a better chance of developing a disability and/or a lack of mobility that seriously impacts your daily life. You can develop increasing difficulties in accomplishing the normal activities of daily living. Along with the personal risks to your health and well-being that can occur if you avoid a knee replacement, there are surgical risks as well. If you develop deformities due to the delay, it’s likely to make knee replacement surgery a more complicated process. Also, if you postpone surgery, it can limit your options regarding the knee replacement device used later on. When a knee replacement is done early on, a partial knee replacement may be the only thing that’s needed, but a prolonged delay can mean only a total knee replacement will give you the relief you need. It follows that, if you have knee replacement surgery before more extensive deformities occur and a less invasive surgery can then be done, your recovery time will be shorter with less complications. You’re also more likely to have a successful outcome. If you have any of the symptoms that are making you consider a knee replacement, or you’d like a second opinion, please contact Dr. Peter Sculco’s office to book an appointment today. Dr. Sculco specializes in partial and full knee replacements, including primary and complex revision joint replacements. Call 212.606.1771 today or fill out the form on this page to request an appointment.